The challenge for our future is to make use of alternative sources of energy to replace our dependence on fossil fuels: oil and coal. Right now, such sources are right before us. All we need to do is to scale up what already exists in the laboratory. This program shows how we can do this through technological innovation and will power. 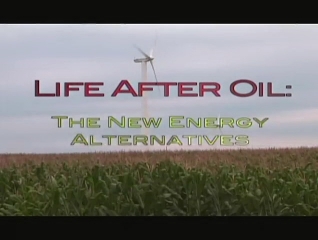 Energy Alternatives or alternative energy are ways to replace using fossil fuels. 00:03:03Wind power uses wind turbines to create electricity. 00:04:50Fuel cells use hydrogen to run cars. 00:04:21Hydrogen fuel can be used to run cars. 00:04:52Ethanol is an alternative gasoline. 00:03:31Thermal chemical conversion converts biomass to energy. 00:05:50Solar energy comes from the sun and can produce enough power for the entire planet.